Now you can use USPS Shipping within Multivendor Marketplace App for Shopify. With this, the sellers/vendors can ship the products with USPS and can also generate the ‘shipping label’ from their account on the app. Please note that this will be at a monthly charge of 10$ USD per month + current charges for the multivendor app. You also need to enable “Real Time Carrier Calculated Shipping” from the Shopify Store. – Sellers/Vendors can ship the products using USPS Shipping Method. – Sellers can generate the Shipping Label easily from the app account. – All the shipping rates will be as per USPS Shipping. – Seller need not have their own USPS account. – The Admin/Store Owner needs to have an account on USPS. The activation of USPS needs to be done at both the admin and the seller end. First, you need to enable “USPS Shipping” from the “Feature Apps” menu in the Multivendor App. The app is chargeable at 10$ per month in addition to the Multivendor App charges and other feature apps (if enabled). Admin needs to enable “USPS” from the app configuration menu. Once you have enabled USPS Shipping, you need to “agree” on the additional charges for every month. Then the sellers can use the USPS Shipping for their products. Now a new “USPS configuration” will be added in the menu, here you need to write the USPS User Id. This is all from the admin end. Now each seller has to enable the USPS Shipping from the “shipping configuration” menu in the app from their account. 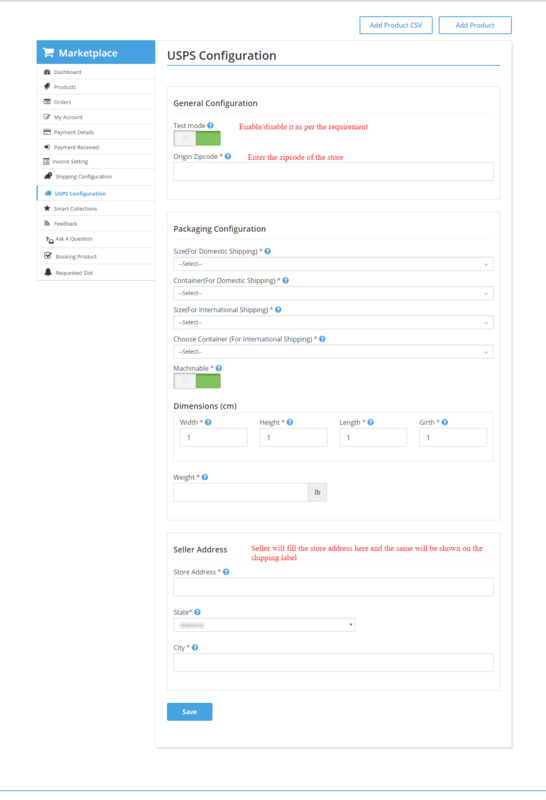 Once the USPS is enabled, a new menu will be added “USPS configuration”. The seller needs to fill in the details in the same. Once the seller configures this, USPS shipping will be enabled for the seller products. All the shipping rates will be as per USPS Shipping rates. The seller can create the “Shipping Label” from the order detail page. This way seller can generate the shipping label. Recommendation for the Admin: It is advised that you either use Multivendor Shipping or USPS Shipping at a time. In case you enable both the shipping then the seller can also select from multivendor shipping or USPS shipping. You need to disable the USPS shipping or any other shipping from the Shopify Store so that only Multivendor USPS Shipping methods are available for the customer on checkout. NOTE: Sometimes to generate the shipping label from the app, you might need some extra permission within your USPS account, so in this case, you need to contact USPS. When will this app be available again? I have vendors who are located around the world. Will this APP still work if the vendor is shipping from a location outside of the united states? Did you ever hear back? I am in the same situation. Not directly, but I know they’re always working on improvements. 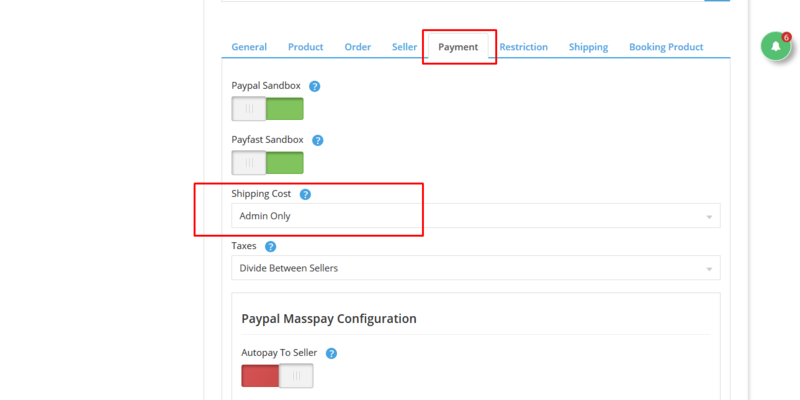 Shipping is still not great but we have been able to manage by trying to simplify the shipping options. They probably have some upgrades in the works – but shipping in general is a really difficult thing to do especially globally.